Plastic credit cards and debit cards have taken over a lot of people’s use of cash. More often than not, when I’m walking in a major city and I’m asked by a homeless person for money, my go to (and true) reason for not giving a guy a quarter or a dollar is I simply don’t carry cash. Now, mobile wallet startups are starting to replace credit cards. Pocket loads are shrinking thanks to startups like Dwolla and PayTango and companies like Google and Paypal. And things are only going to get easier, at least for some. While speaking at the Money2020 conference in Las Vegas this week, Business Insider reports that Milne told an interesting story to the audience. He mistakenly threw away cash because he thought it was an old burrito wrapper. Milne was speaking about how easy money transactions are going to be. For years Paypal has been the leader in the digital payments space. Millions of people have Paypal, and now with Paypal’s mobile app you can send someone money via the service in just seconds. If they have one of Paypal’s debit cards or they’re signed up for PayPal wallet, users can just as quickly spend the money. The same is true for Google’s wallet product and the ability to use an Android phone with NFC technology at hundreds of thousands of PayPass locations across the country. 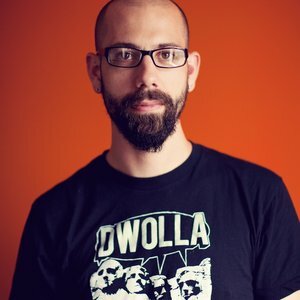 Milne’s own startup Dwolla is making it incredibly easy to send money from one user to another, and they only charge $.25 per transaction (transactions under $10 are free). Milne hopes that sending money via the internet becomes as easy as sending a photo of pop queen Miley Cyrus.